Couldn’t find anything too cute for a chile rellenos casserole, but I ran into some taco sauce packet sayings thanks to Taco Bell. Bike tires scare me. This is gonna end with you eating me, isn’t it? How many of these do you already have in your glove compartment? Sunday is Easter so no Made Men dinner, but Saturday will be my take on a dinner Mad Men style, but with changes of course. I was going to make a favorite dish, chile rellenos as did Betty in her trip around the world dinner party, but came upon a really good somewhat updated and made over version that I wanted to try, but we’ll still have gazpacho, a little Guacamole, and maybe some marinated olives…cocktails at 5-simple margaritas. 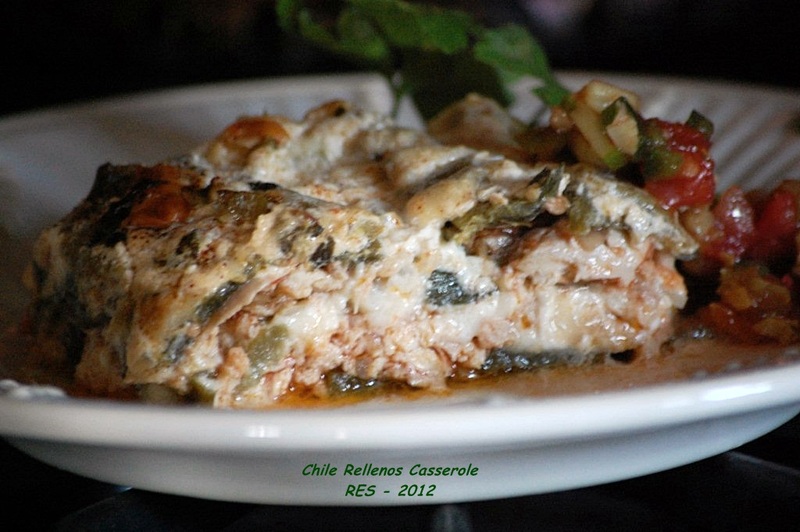 Adapted from 2008 The Great Chiles Rellenos Book, the recipe seems like a lot of work, but if you prep all the ingredients ahead of time and of course purchase a store roasted chicken it really isn’t much work for a wonderful “casserole”. Easy casual dinner and I only made half of the recipe, serves 4-5. Serve with a favorite taco sauce or salsa. It only took minutes to roast the peppers on the open flame of my gas stove, less time than preheating the oven and roasting in the oven. In a 2-quart sauce pot with a heavy bottom, heat the oil over medium heat and sauté the onion and poblanos for about 10 minutes, until the onion becomes soft and translucent and the chiles are soft. Add the garlic and continue cooking 1 minute more, so the garlic releases its flavor. Add the white wine and reduce for about 10 minutes to 1/2 cup. Add the sour cream and bring to a slow simmer, stirring constantly so that the sauce doesn’t scorch. Stir in the cheese to melt. Let cool slightly, then puree in a food processor. 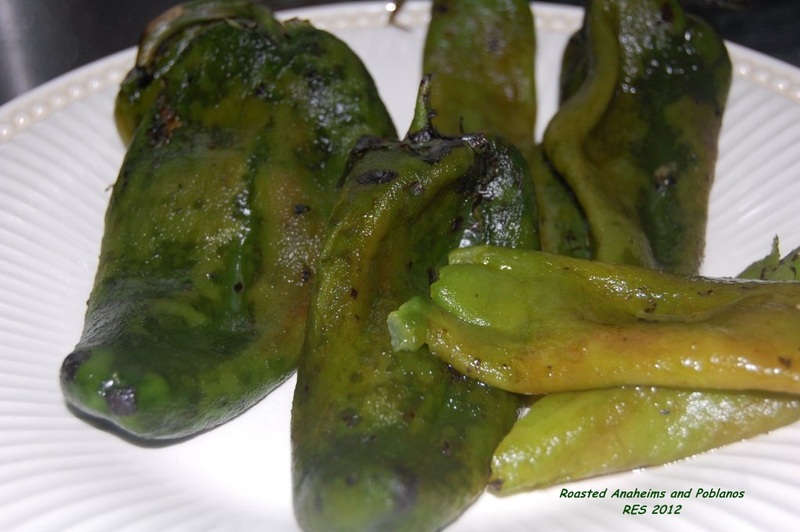 Slice the chiles lengthwise into 1-inch wide strips, and set aside. Heat the oil in a large pan and sauté the yellow onions over medium heat, about 5 minutes, until they become quite soft. Add the garlic, and continue cooking about 1 minute so that the garlic releases its flavor. Sprinkle in the chili powder, stir in the chipotle and tomatoes, and simmer for about 2 minutes more. Stir in the chicken meat, season with 1 teaspoon salt, or to taste, and simmer about 3 minutes. Grease an 8-inch casserole. [Note: We used a larger casserole dish with great success]. Layer half of the chile strips to cover as much of as the bottom of the casserole as possible. Spread half the chicken mixture over the chiles. Sprinkle half the cheese over the chicken. 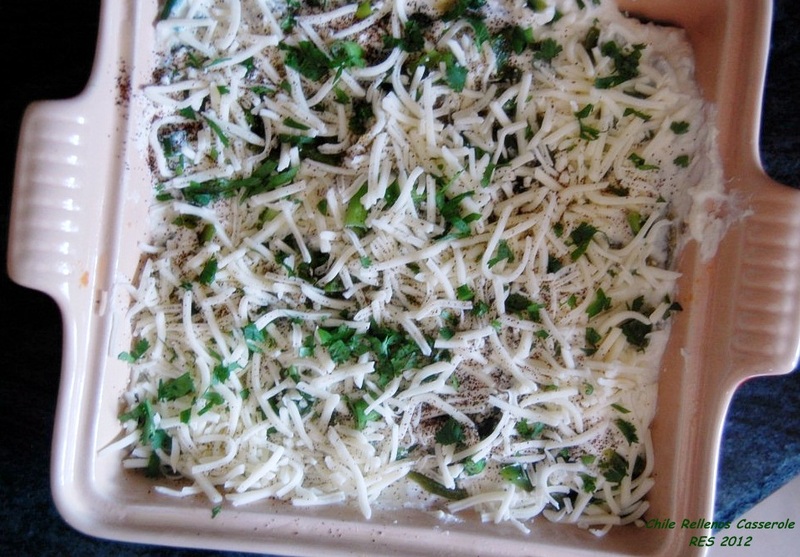 Sprinkle half the green onions over the cheese. Ladle half of the Culichi Sauce over the mixture, gently shaking the casserole to help the sauce seep to the bottom of the dish. Layer the remaining chile strips over the cheese and Culichi Sauce. Spread the rest of the chicken mixture over chiles. Sprinkle the remaining cheese over the chicken, followed by the remaining green onions and Culichi Sauce, gently shaking the casserole. Bake for 45 minutes to 1 hour, until the casserole begins to bubble and brown.